In part of Italy it is a tradition to have dinner on Christmas Eve (the 24th) rather than on Christmas Day (the 25th). The cena della vigilia often features fish, and after yesterday’s recipe from Veneto it is fitting to have another one today. 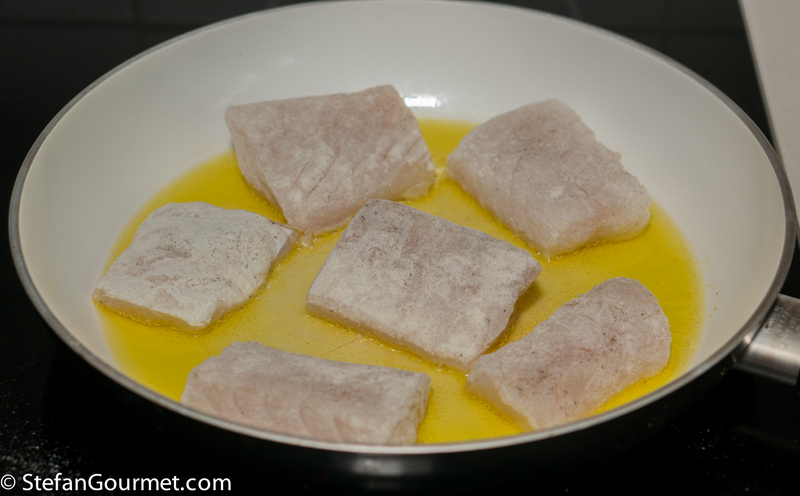 Traditionally baccalà alla vicentina is prepared with dried cod, but I prefer it with fresh cod. 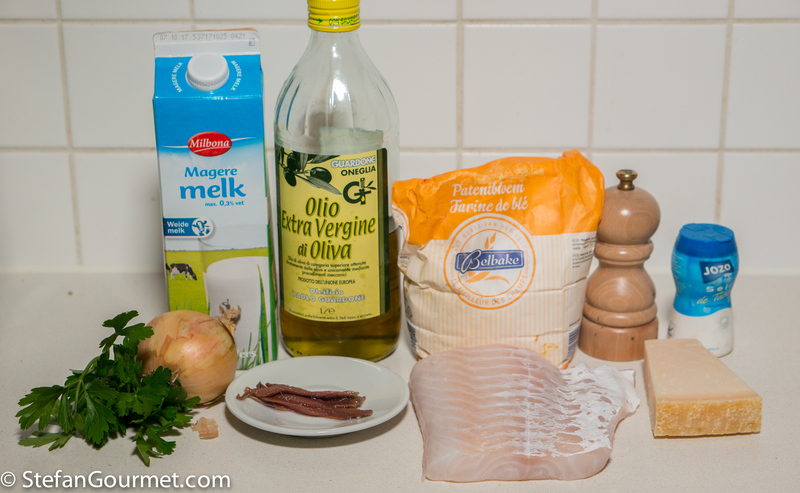 The cod is simmered with onions, milk, anchovies, parsley, and olive oil, and served over polenta. 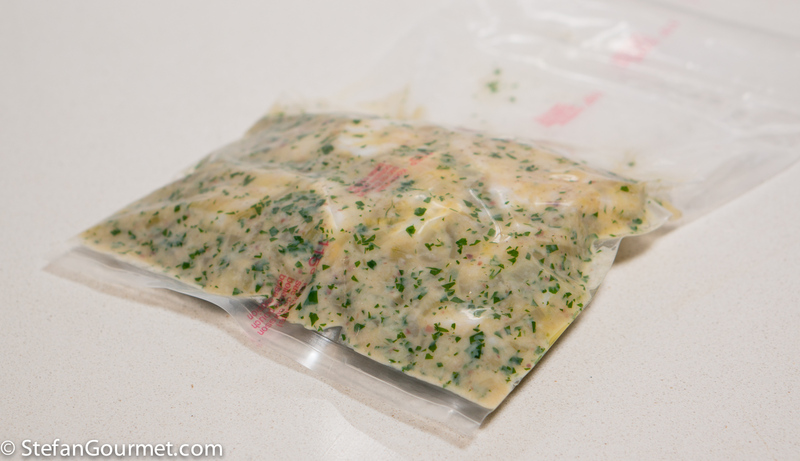 A reader asked me whether it could be prepared sous-vide, and so I thought this should be put to the test. 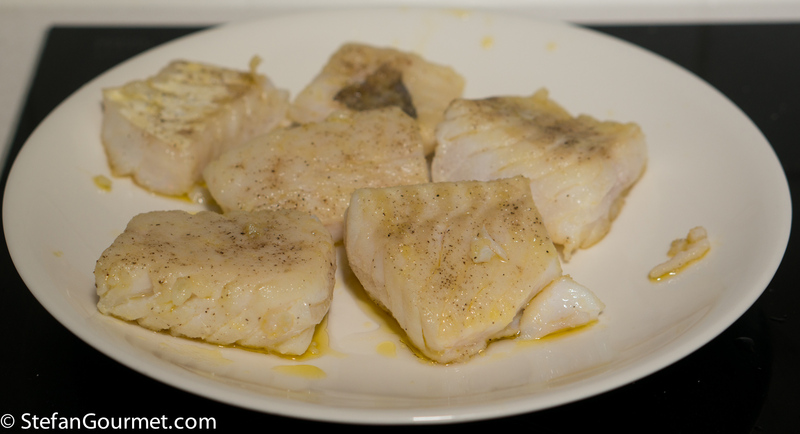 Cod alla vicentina requires low and slow cooking, so it certainly sounds like sous-vide would be appropriate. Turns out that sous-vide works very well for this, with the added benefit that the fish is pasteurized and therefore it can be prepared ahead and reheated for serving — very convenient when fresh fish is hard to come by during the holidays. 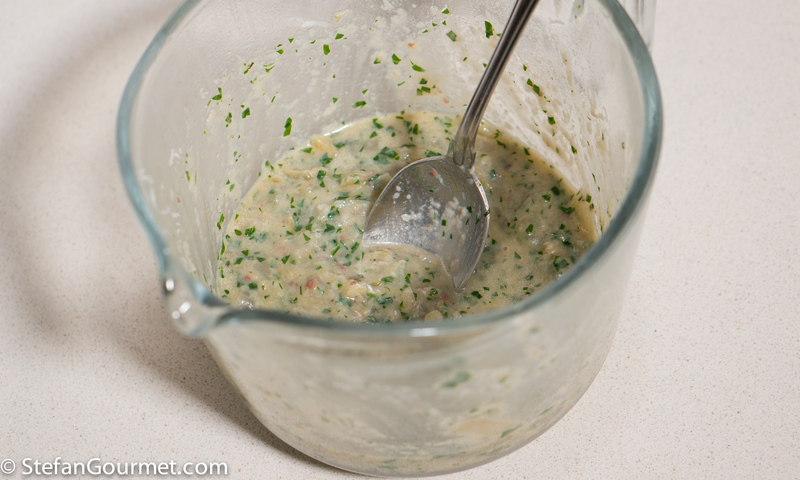 The recipe is the same as the regular recipe, except that less milk and olive oil is needed, since for sous-vide we do not need to cover the fish with milk and olive oil. Slice the cod into large pieces. Season them with salt and freshly ground black pepper and dust them with flour. 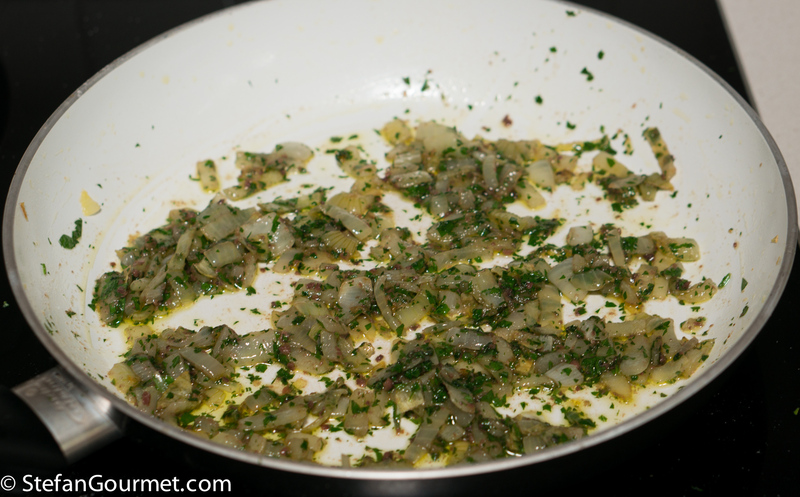 Heat 4 tablespoons of extra virgin olive oil in a non-stick frying pan. Add the cod. 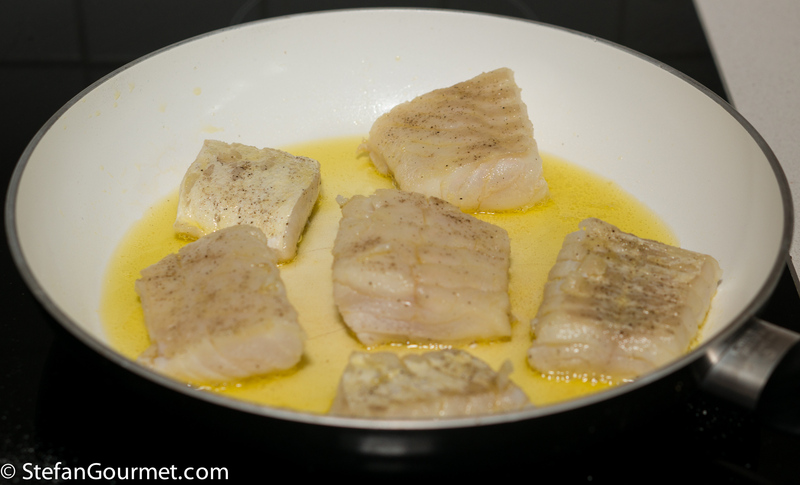 Cook the cod over medium high heat until it is golden on all sides. Set the cod aside on a plate to cool. 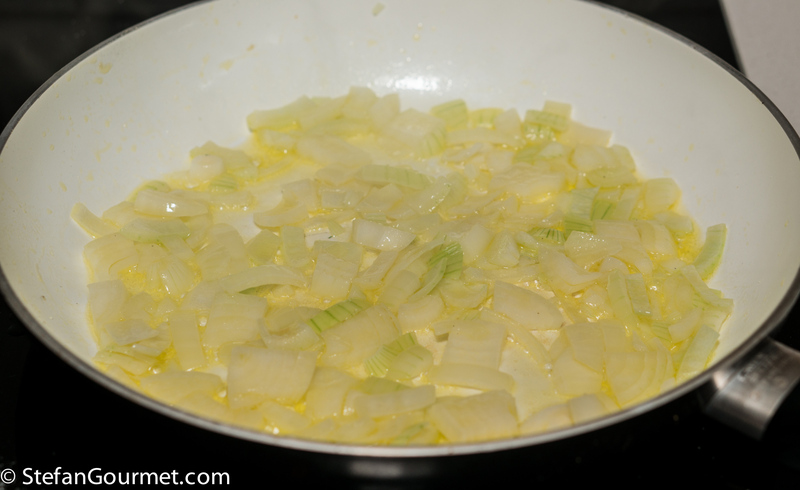 Add a chopped onion to the oil left behind in the frying pan. Season with salt. 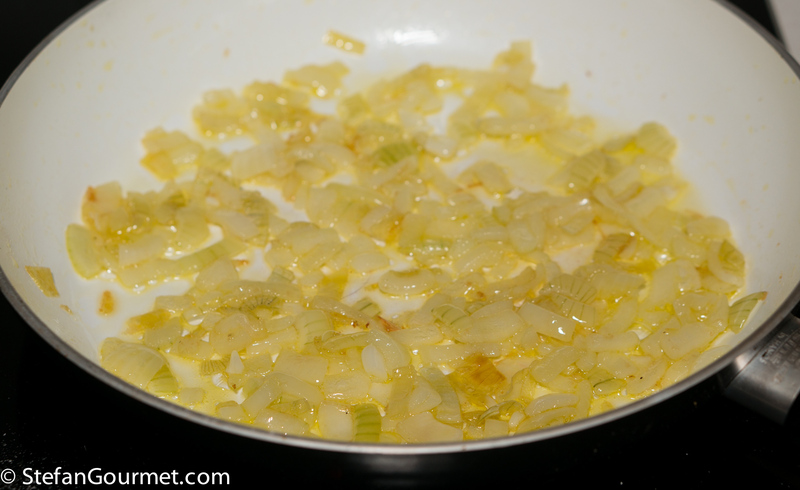 Stir until the onions have softened and are slightly golden, about 10 minutes. 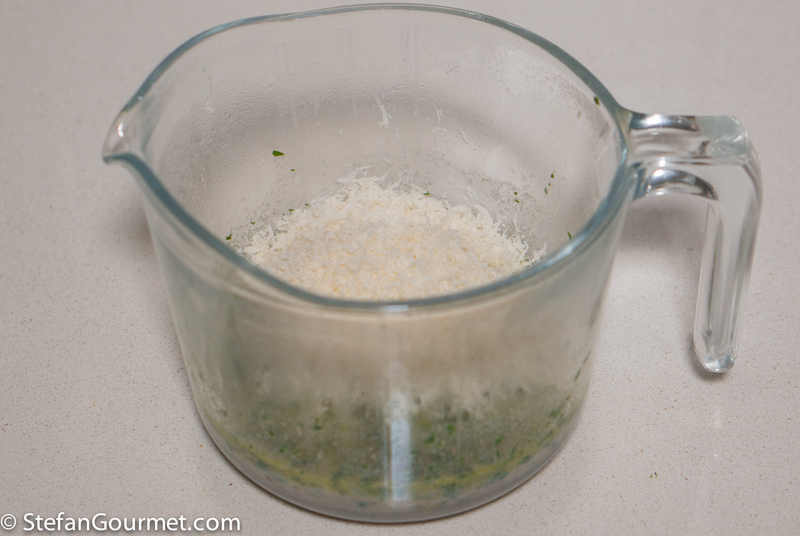 Add 3 minced anchovy fillets and 2 tablespoons of minced parsley. Stir over low heat for 1 minute. Turn off the heat and add 80 ml of milk. 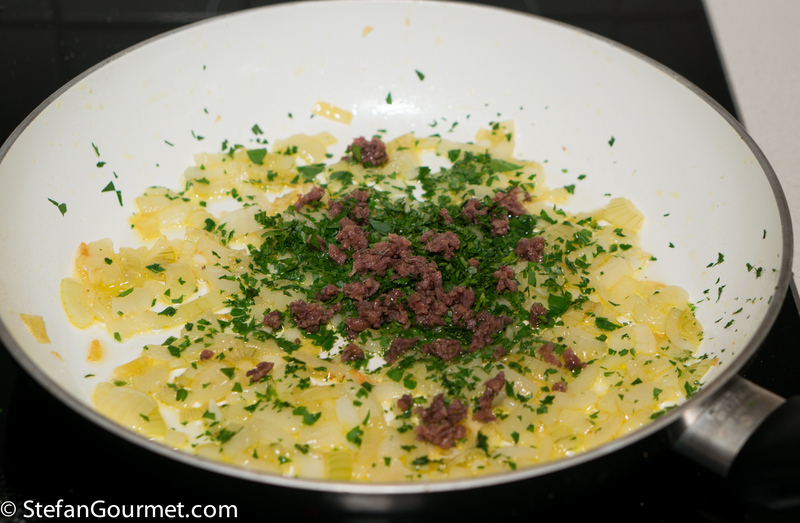 Combine the contents of the pan with 25 grams of freshly grated parmigiano reggiano. 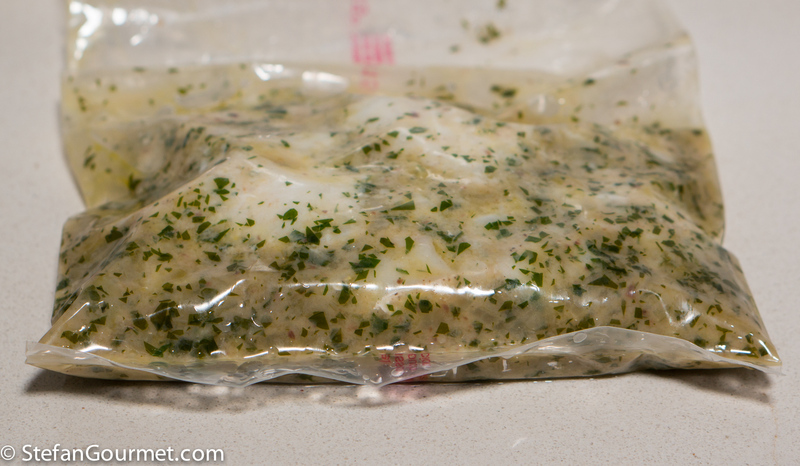 Put the fish and sauce in a ziploc bag and close it with as little air as possible inside using the water displacement method, or allow sauce and fish to cool and then use a chamber vacuum sealer to vacuum seal fish and sauce together. Cook sous-vide for 5 hours at 55C/131F. At this point you can serve it, or chill the bag in ice water and refrigerate it. Then reheat for 1 or 2 hours at 55C/131F. 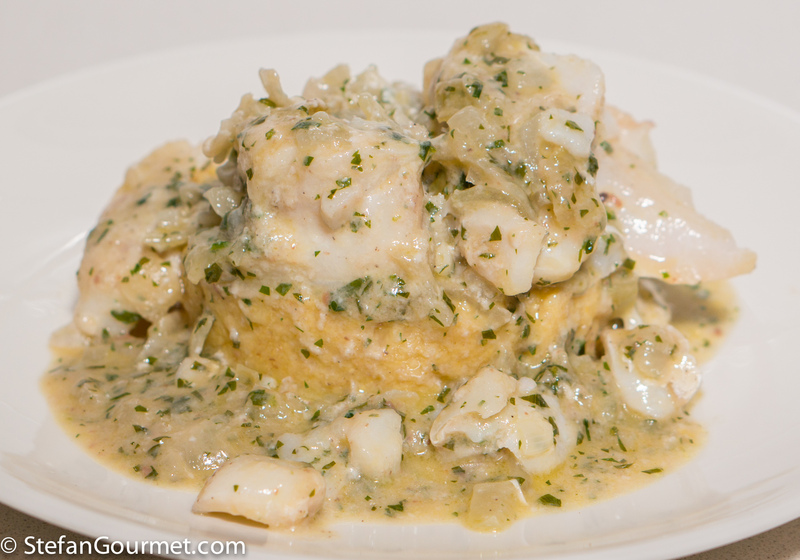 Serve the cod alla vicentina over polenta on preheated plates. The most appropriate for this dish from Veneto is a Soave, a dry white wine from the same region. 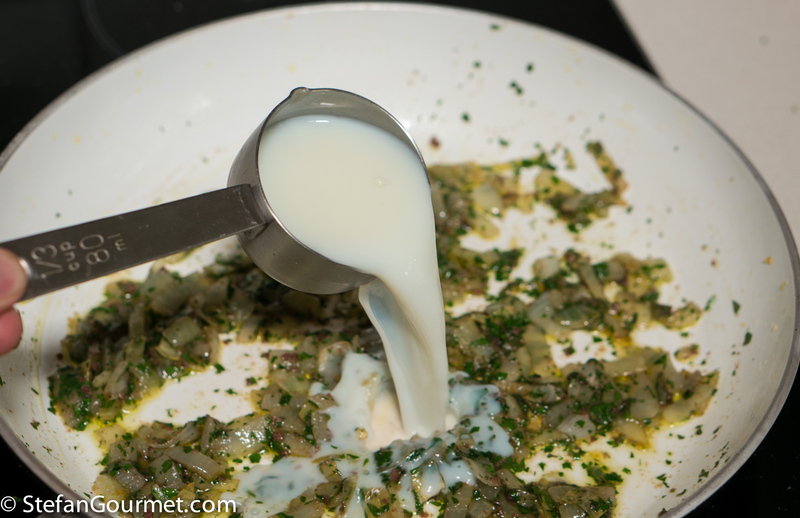 Soave comes in many qualities; this dish requires a full-bodied one that is often released under the Soave Superiore DOCG (however you can probably find a good Soave DOC that is better than a bad Soave Superiore DOCG). 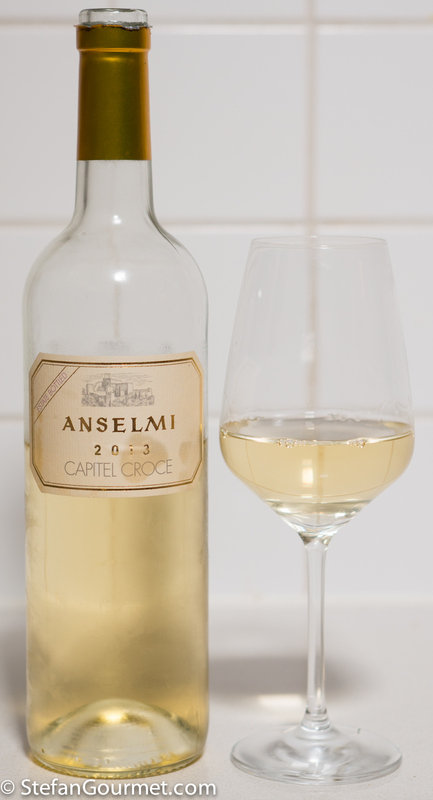 One of the best producers, Anselmi, releases his “Capital Croce” outside of the DOC(G) and it is perfect with this dish. 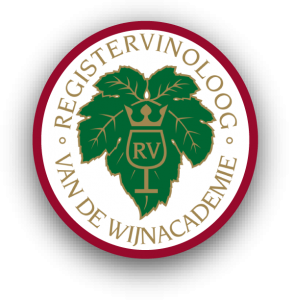 It is made in the same region using the same garganega grape variety as Soave. Hi Eha, I don’t know by what percentage, but there is certainly a sizable part of Europe that celebrates on Christmas Day. Like, all of the Netherlands. We actually have dinner on both the 25th and 26th, and there is often a battle to go to “his” or “her” parents on (the more important) 25th. Of course in our case it is “his” or “his”, LOL. 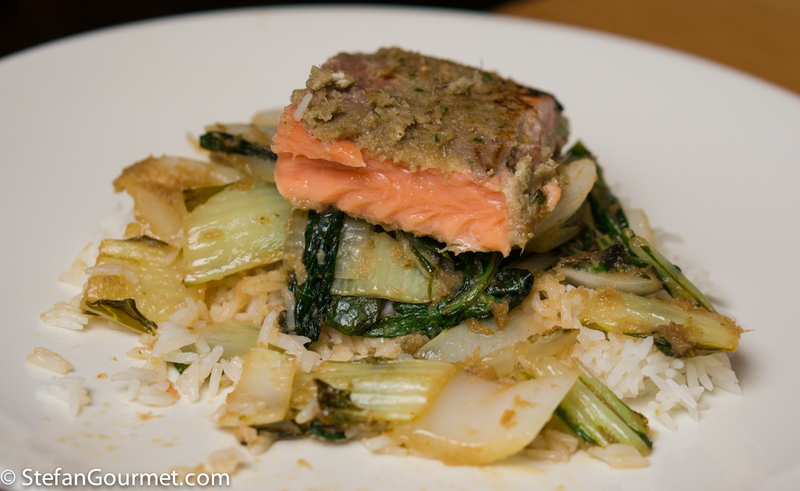 It certainly would have been surprising if you had actually bought a sous-vide! So perhaps not all hope is lost, LOL. Con il pesce fresco? Da provare! Buon Natale Stefan!